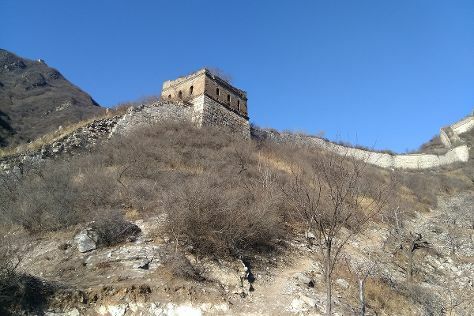 Start off your visit on the 5th (Wed): look for all kinds of wild species at Huairou Xiangshuihu Great Wall Scenic Resort, wander the streets of 798 Art Zone, and then appreciate the history behind Chairman Mao Memorial Hall (Maozhuxi Jiniantang). Here are some ideas for day two: look for all kinds of wild species at Yudushan Scenic Resort, wander the streets of Back Lakes (Hou Hai), and then contemplate the long history of Peking Former Residence of Soong Ching Ling (Song Qingling Guju). To find photos and tourist information, refer to the Beijing travel itinerary planner . Mexico City, Mexico to Beijing is an approximately 21-hour flight. You can also do a combination of bus and flight. The time zone difference when traveling from Mexico City to Beijing is 14 hours. Traveling from Mexico City in June, expect Beijing to be somewhat warmer, temps between 88°F and 65°F. Wrap up your sightseeing by early afternoon on the 7th (Fri) to allow time for travel to Hanoi. Kick off your visit on the 8th (Sat): get outside with Outdoor Activities. Get ready for a full day of sightseeing on the next day: stroll through Quan Lan Beach, take in the spiritual surroundings of Chua Tran Quoc, then stop by Hong Ngoc Shopping Centre, and finally take a memorable drive along Royal Heritage Cruise. To find photos, more things to do, reviews, and tourist information, use the Hanoi trip planner . Traveling by flight from Beijing to Hanoi takes 8 hours. Alternatively, you can do a combination of train and bus; or drive. Traveling from Beijing to Hanoi, you'll gain 1 hour due to the time zone difference. Wrap up your sightseeing on the 9th (Sun) early enough to travel to Luang Prabang. Start off your visit on the 10th (Mon): admire all the interesting features of The Living Land Company, stroll around 100 Waterfalls, then identify plant and animal life at Kuang Si Falls Butterfly Park, then browse the collection at Luang Prabang Library, and finally contemplate in the serene atmosphere at Wat Mai Suwannaphumaham. Get ready for a full day of sightseeing on the next day: admire the sheer force of Nahm Dong Park, then take in the spiritual surroundings of Wat Xieng Mouane, then look for gifts at Indigo Fabric, and finally head outdoors with Cascate. To find where to stay, maps, photos, and tourist information, use the Luang Prabang trip itinerary builder . Getting from Hanoi to Luang Prabang by combination of bus and flight takes about 2 hours. Other options: drive; or take a bus. June in Luang Prabang sees daily highs of 93°F and lows of 75°F at night. Finish your sightseeing early on the 11th (Tue) so you can travel to Chiang Mai. Deepen your sense of the past at sights like Wat Phra That Doi Kham (Temple of the Golden Mountain) and Wat Si Suphan. Step off the beaten path and head to Maerim Elephant Sanctuary and Elephant POOPOOPAPER Park. There's lots more to do: add some adventure to your tour with a kayaking and canoeing tour, contemplate in the serene atmosphere at Wat Umong Suan Phutthatham, view the masterpieces at Studio Naenna, and admire the landmark architecture of Wat Chiang Man. To find reviews, maps, ratings, and other tourist information, read our Chiang Mai vacation builder website . Fly from Luang Prabang to Chiang Mai in 1.5 hours. Alternatively, you can drive; or take a bus. In June in Chiang Mai, expect temperatures between 93°F during the day and 77°F at night. Finish your sightseeing early on the 14th (Fri) to allow enough time to travel to Bangkok. On the 15th (Sat), take in the spiritual surroundings of Wat Bowonniwet Vihara, steep yourself in history at The Chakri Group (Phra Thinang Chakri Maha Prasat), take in the spiritual surroundings of Wat Intharam Worawiharn, contemplate in the serene atmosphere at Wat Pak Nam, then enjoy breathtaking views from King Power Mahana Khon, and finally contemplate in the serene atmosphere at Wat Hua Lumphong. On the 16th (Sun), you'll have a packed day of sightseeing: take in the spiritual surroundings of Luang Kocha Itsahak Mosque, head outdoors with Bangkok Batting Center, head outdoors with Bangkok Fight Lab, then boost your wellbeing at a local thermal spa, and finally stop by S.J. International. For more things to do, reviews, traveler tips, and more tourist information, read Bangkok trip planner . Getting from Chiang Mai to Bangkok by flight takes about 3.5 hours. Other options: do a combination of flight and taxi; or drive. Expect a daytime high around 93°F in June, and nighttime lows around 79°F. Finish your sightseeing early on the 16th (Sun) to allow enough time to travel to Siem Reap. Start off your visit on the 17th (Mon): head outdoors with Outdoor Activities, explore the ancient world of Thommanon, then explore the ancient world of Preah Khan, and finally steep yourself in history at Angkor Thom South Gate. Here are some ideas for day two: see the interesting displays at Angkor National Museum, get interesting insight from Angkor Safe Driver, and then take in the spiritual surroundings of Wang Tuk Tuk Driver. For traveler tips, other places to visit, ratings, and more tourist information, use the Siem Reap trip planner . Getting from Bangkok to Siem Reap by flight takes about 2 hours. Other options: do a combination of bus and flight; or drive. In June, daytime highs in Siem Reap are 92°F, while nighttime lows are 78°F. 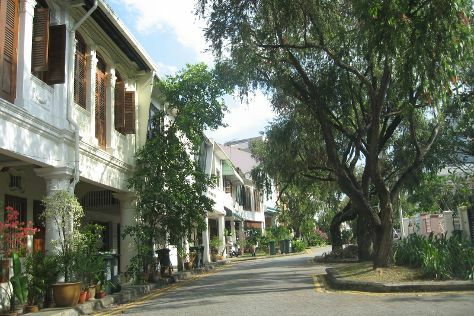 Wrap up your sightseeing on the 18th (Tue) early enough to travel to Phuket Town. 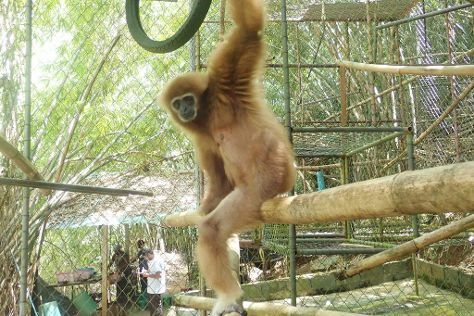 Start off your visit on the 19th (Wed): look for all kinds of wild species at Gibbon Rehabilitation Project, then pause for some serene contemplation at Holy Trinity Church in Phuket, then stroll through Bang Tao Beach, and finally visit a coastal fixture at Promthep Cape Light House. On the 20th (Thu), you'll have a packed day of sightseeing: examine the collection at Phuket Trickeye Museum and then identify plant and animal life at Monkey Hill. To see ratings, reviews, where to stay, and more tourist information, use the Phuket Town trip planner . Traveling by combination of flight and bus from Siem Reap to Phuket Town takes 4 hours. Alternatively, you can do a combination of flight, bus, and ferry; or drive. In June, plan for daily highs up to 89°F, and evening lows to 75°F. Wrap up your sightseeing on the 20th (Thu) to allow time to travel to Kuala Lumpur. Start off your visit on the 21st (Fri): contemplate in the serene atmosphere at National Mosque (Masjid Negara), scramble along the landscape with a canyoning and rapelling tour, then get your bearings at Royal Selangor Visitor Centre, and finally get outside with Dark Cave Malaysia. Get ready for a full day of sightseeing on the 22nd (Sat): take in the spiritual surroundings of Thean Hou Temple and then let your taste buds guide you at a local gastronomic tour. For photos, where to stay, reviews, and tourist information, refer to the Kuala Lumpur driving holiday website . You can do a combination of bus and flight from Phuket Town to Kuala Lumpur in 6 hours. Other options are to do a combination of ferry, bus, and flight; or drive. The time zone difference when traveling from Phuket Town to Kuala Lumpur is 1 hour. June in Kuala Lumpur sees daily highs of 92°F and lows of 77°F at night. Finish your sightseeing early on the 22nd (Sat) so you can travel to Ubud. Tirta Empul Temple and Mengening Temple will appeal to history buffs. Take a break from the city and head to Nature & Wildlife Tours and Cucukan Beach. Explore Ubud's surroundings by going to Gunung Kawi Sebatu Temple (in Tegalalang) and Mount Kawi (in Tampaksiring). Next up on the itinerary: contemplate in the serene atmosphere at Saraswati Temple, make a trip to Terrace River Pool Swing, examine the collection at Neka Art Museum, and enjoy the sand and surf at Saba Beach. To see traveler tips, other places to visit, more things to do, and more tourist information, you can read our Ubud online route planner . You can fly from Kuala Lumpur to Ubud in 6.5 hours. Expect slightly colder weather when traveling from Kuala Lumpur in June: highs in Ubud hover around 86°F, while lows dip to 77°F. Finish up your sightseeing early on the 25th (Tue) so you can travel to Singapore. Kick off your visit on the 26th (Wed): identify plant and animal life at MacRitchie Nature Trail, then wander the streets of Emerald Hill, then appreciate the extensive heritage of The Helix Bridge, and finally enjoy the sand and surf at Lazarus Island. On your second day here, wander the streets of Robertson Quay, learn about all things military at Battlebox, test your problem-solving skills at popular escape rooms, take a stroll through Kampong Glam, then don't miss a visit to Peranakan Houses, and finally wander the streets of Joo Chiat/Katong. To see maps, more things to do, photos, and more tourist information, use the Singapore online holiday maker . Fly from Ubud to Singapore in 6 hours. In June, daily temperatures in Singapore can reach 91°F, while at night they dip to 79°F. Wrap up your sightseeing on the 27th (Thu) early enough to travel back home.